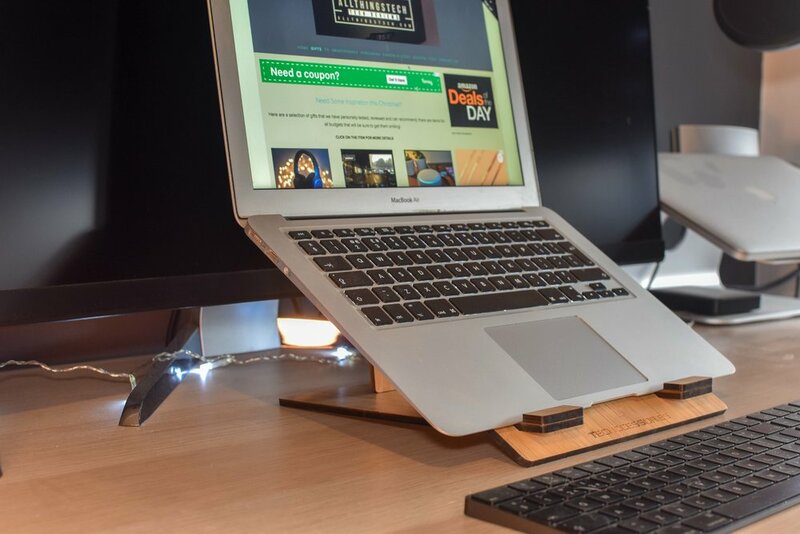 If you are looking for a fold flat travel laptop stand that is fairly inexpensive then you may wish to consider this from The Techccessories. 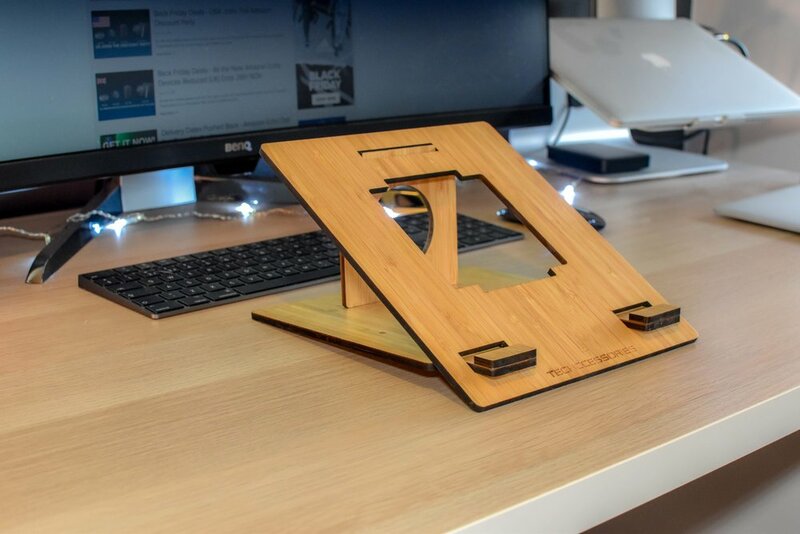 Its a light, self assembly (in seconds) wooden stand that really helps with back strain and posture. Weighing in at just 1lb or 450g this is a ‘take anywhere stand that is simple to slot together. It easily holds a 13 inch laptop as well as my 15 inch MacBook pro. It can also make a handy stand for a tablet or other similar size screen.